Just as the Man of Action was basically a flocked version of the Action Soldier, the Talking Man of Action (7590) is a flocked version of the Talking Action Soldier. The box insert wasn't even changed, and still calls the figure a Talking soldier. Listen to the command by playing the audio clip above! 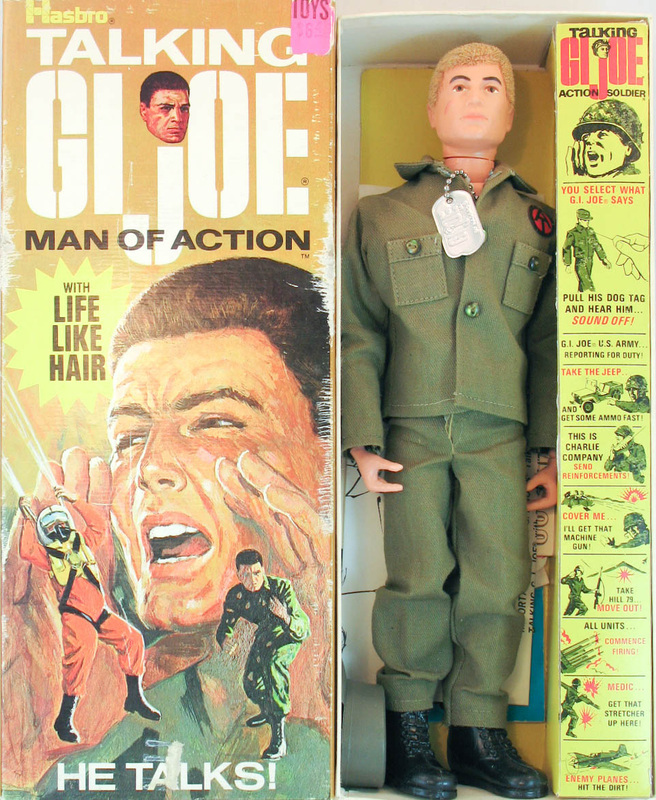 The Talking Man of Action box advertises military era sets, just like the non-talking version. You can find more information about and images of the Frogman, Ski Patrol, Crash Crew, and Breeches Buoy sets elsewhere on the site. 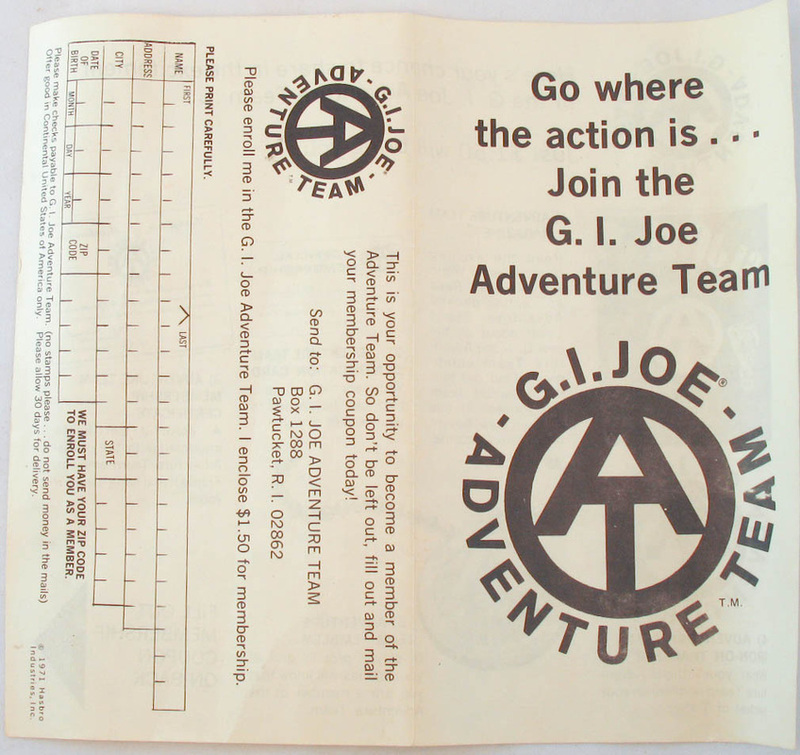 Go where the action is... Join the GI Joe Adventure Team! 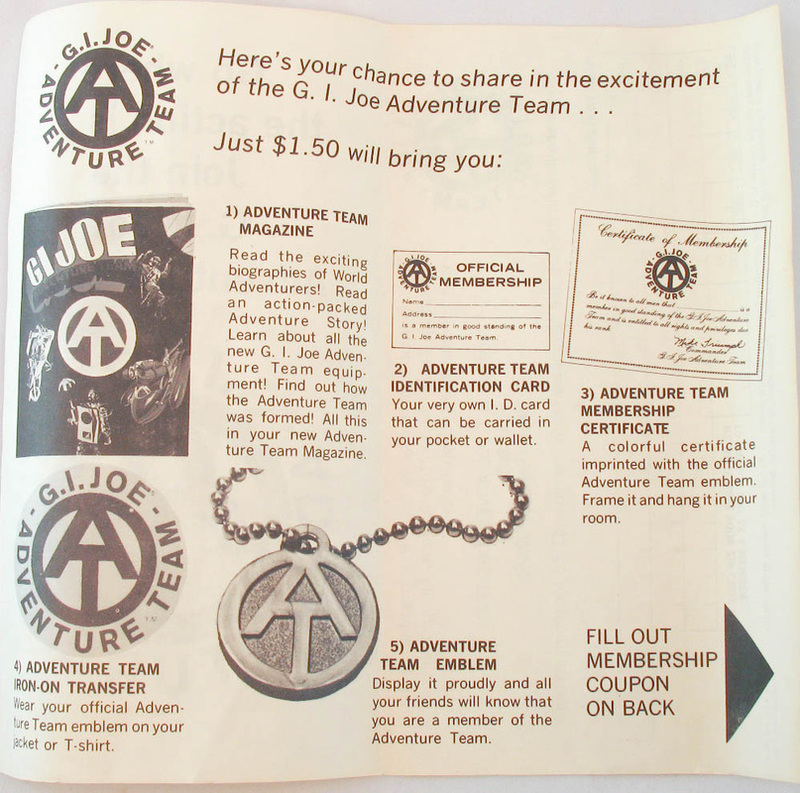 The Talking Man of Action came in a blonde version too. 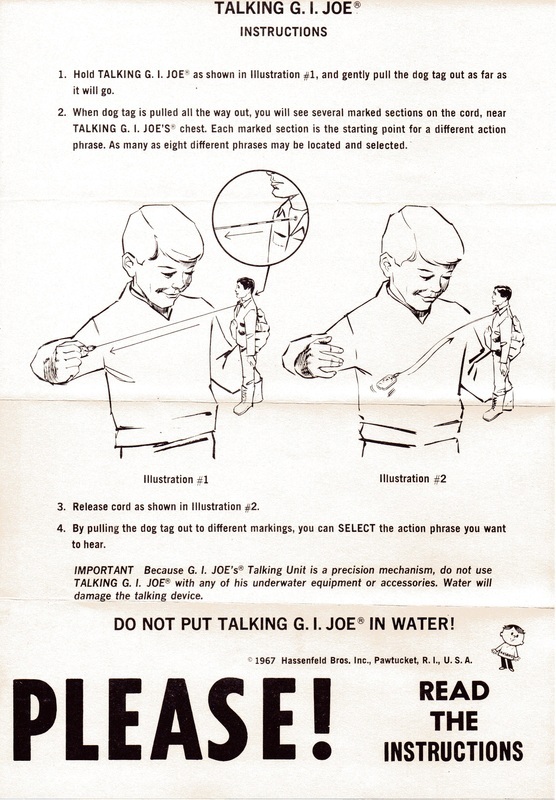 This early example includes a full complement of paperwork that came with the Talking soldier, including the advertising comic from 1967.